Norway is a great place to travel as a family, and its charming cities are no exception. 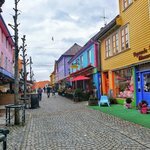 From museums to playgrounds, aquariums to mountaintops, there are plenty of kid-friendly activity options in Oslo, Bergen, and Alesund. If you're on the hunt for the perfect family-friendly vacation destination, Norway is a wonderful choice. You’ll delve deep into a fascinating European culture and marvel at the country's astounding natural beauty. 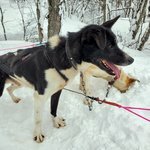 Norway's safe and welcoming reputation only adds to its allure as an ideal place to bring your kids. The three cities below feature some of the best and most easily accessible family-friendly highlights this fascinating nation has to offer, so read on for inspiration and pro tips for your next family adventure. Of course, no trip to Norway would be complete without a stop in its capital. You’ll find that the city’s small size gives it a cozy feel and makes it perfect for walking. 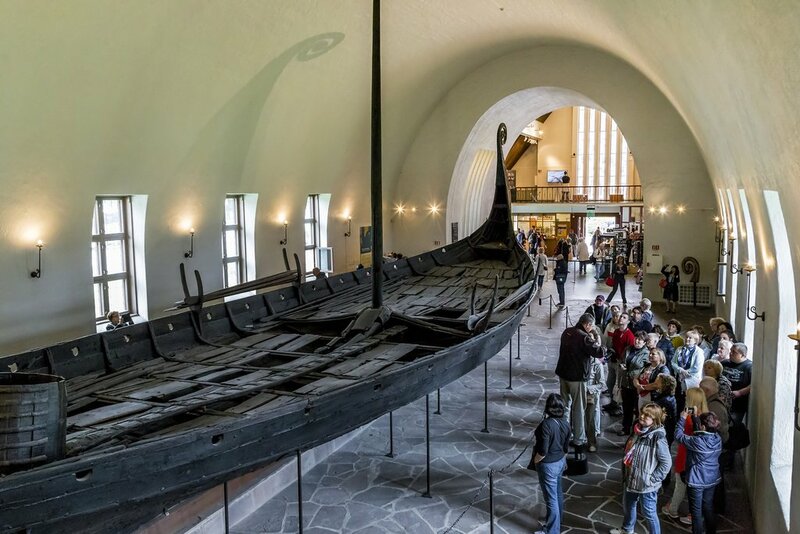 A superb attraction for all ages is the Viking Ship Museum; youngsters and the young at heart won’t be able to contain their excitement as they come face-to-face with the world’s best-preserved collection of Viking ships. A short walk away you’ll find Frammuseet (the Fram), a museum dedicated to Arctic exploration. Here you’ll experience a simulated Northern Lights display, learn how explorers fought off polar bears and go inside a wooden vessel that was actually used in the late 1800s to explore the Arctic. Burn off some of that youthful energy at Oslo’s Frognerparken (Frogner Park). The largest park in Central Oslo, this family refuge features an outdoor swimming pool complex complete with diving platform and a children’s pool. Within the park, you’ll also find a large children’s playground and Vigeland Park, a unique outdoor sculpture park that houses over 200 works by one of the country’s most famous artists, sculptor Gustav Vigeland. If you happen to visit the city on a rainy, blustery day, head indoors to Oslo Reptilpark (The Reptile Park). This homage to all things small and scaly is usually a favorite with kids. Aim to be there on a Tuesday at 5 PM during pubic feeding time where you can watch snakes and crocodiles dine. You’re also only a five-minute walk to the National Gallery, where you can stop in to see Edvard Munch’s famed “The Scream”. Hugged by mountains and nearby fjords, Norway’s second largest town is always a crowd-pleaser. After all, who could help but fall in love with the charming town on which the fictional village of Arendelle from Disney’s movie Frozen was based? 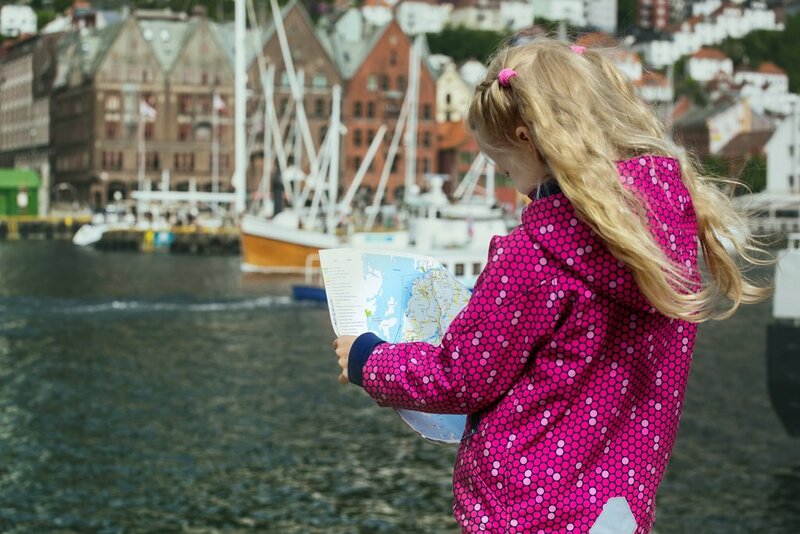 Kids are sure to be especially captivated by Bryggen, the colorful, historic nautical village centered on the wharf. This UNESCO World Heritage site holds much that will stir the imagination and it’s a wonderful opportunity to take a leisurely stroll by the water. Only a 15-minute walk away is the not-to-be-missed Norges Fiskerimuseum (Norwegian Fisheries Museum). The museum has lots of hands-on exhibitions designed especially for kids, including an interactive fishing exhibit. There’s also a fascinating feature on the damage that trash can do to the oceans. 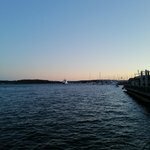 Be sure to ask about renting a rowboat or kid’s kayak where children can paddle around the harbor. Near Bryggen, you can take the Fløibanen funicular to ascend to the top of Mount Fløyen where you’ll be greeted by breathtaking views of the city and fjords. At the summit, there’s also a wonderful troll-themed play area peppered by large trolls that youngsters will love getting their picture taken with. There’s also some nice hiking trails and a restaurant. It’s worth noting that Bergen’s famous fish market is about a five-minute walk from where you catch the funicular. Kids will see all kinds of edible sea creatures and it’s a great place to grab some of the freshest fish and chips you’ll likely ever eat. 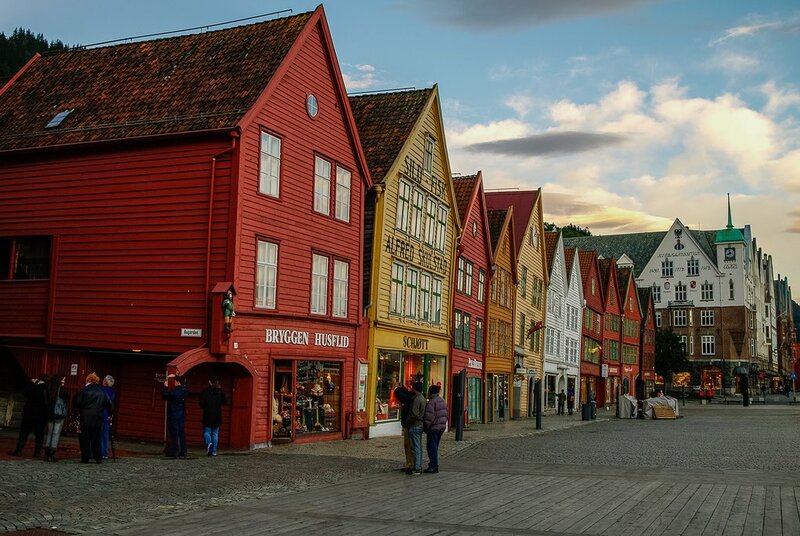 Bergen is also a wonderful base from which to explore Norway’s legendary fjords and waterways. If you’re traveling with youngsters who are better suited to a short boat cruise, there are many available that will hit the highlights with half-day tours of fjords, mountains, and waterfalls. You can also opt for an all-day tour that will take you all the way out to see majestic Sognefjord, the world’s second longest fjord. Alesund is an architecturally interesting, art-nouveau town that offers families a multitude of activities. One of the most popular is undoubtedly the Atlanterhavsparken (Atlantic Sea Park Aquarium). While there are several aquariums throughout the country, this one wins accolades as not only the best in Norway but as the top marine park in Northern Europe. Rather than featuring a range of aquatic creatures from around the world, Atlanterhavsparken focuses on showcasing an extraordinary array of predominately local fish and fauna. And there are penguins too! Check the website to find out about special programs and interactive feeding times. Take a tour or drive yourself to the tiny collection of nearby neighboring islands. Each one is a picturesque gem in itself but the favorite is the island Godøy, because of its beach and 150-year old Alnes Lighthouse. 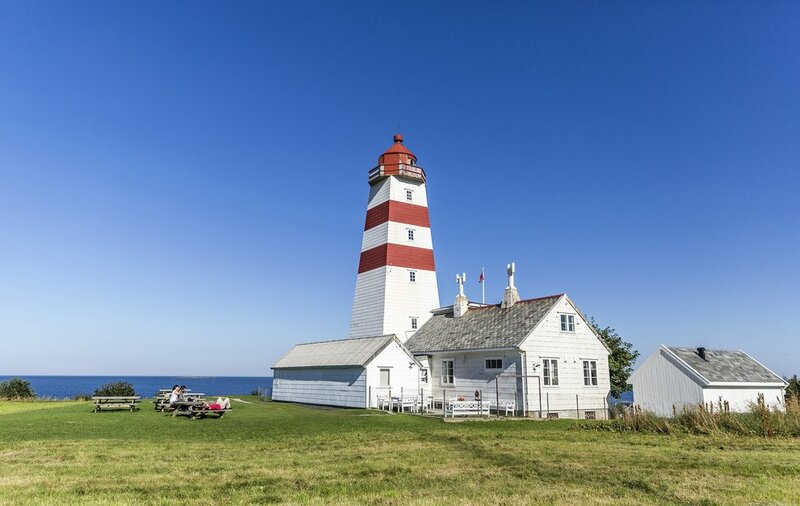 Go to the top and enjoy wonderful views of the coastline and picture how this lighthouse once guided boats safely towards the once-bustling fishing community. There’s also a restaurant that serves delicious waffles that the whole family will love digging into. For the best photos of Alesund, head up Aksla mountain to the viewpoint at the top. If you're looking to test your family’s mettle you can climb all 418 steps (see how long the kids manage to call out each and every step as they ascend). If you don’t feel like testing your lung capacity, the city also offers a train to get you to the top. The vistas of the town and Sunnmøre Alps are spectacular and the popular Fjellstua restaurant is at the summit, where you can enjoy a meal overlooking the sea. Norwegians love family travel, and this will certainly be reflected in the many kid-friendly options you'll find when planning your trip. Despite the potential crowds, the ideal time to take your family to Norway is during the peak tourist season, which generally runs from June to August each year. During this time, you'll experience mild weather, long hours of sunlight, and the attractions listed above will all be open for business. This is also the time of year when you'll find solid lodging deals specifically for families. Make sure to ask for a "family room" when booking accommodation - otherwise, you may end up in an uncomfortably small space. Many hotels and hostels in Norway have play areas and other kid-friendly amenities. If you're concerned that the midnight sun might pose a problem at bedtime, call ahead to make sure your room has black-out style window coverings. In terms of getting around, public transport in Norway is a treasure trove for child discounts. Kids under 4 travel for free on a parent's lap on buses and trains, while older children get a 50% reduced fare. Renting a car? Be sure to reserve a car seat for your little one in advance, especially if you're traveling in the popular summer months. Household items tend to be quite a bit pricier in Norway than they are in the US and much of Europe. For parents of small children and babies, you'll want to stock up on needs like diapers, baby food, and formula before your trip. That being said - if you run out of supplies while you're traveling, anything you need can likely be found in pharmacies and grocery stores throughout the country. How Many Days Should You Spend in Norway?